When it comes to a wedding day, such a lifetime experience is made that much sweeter when there is great kindness and graciousness woven into the day. This is what I remember most about Misao and David’s wedding day. 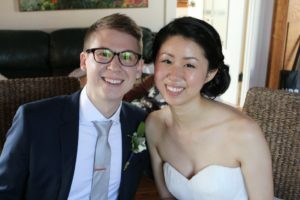 Married at the end of July at DeLille Cellars in Woodinville, it was happiness for me to share in Misao and David’s wedding ceremony – a ceremony that reflected detail about their relationship, gratitude to their family and friends and other personal elements that tied everything together. I look back and remember the love and devotion between these two, and I walked away with the heartfelt knowing that their family and friends were thrilled for this day…and rightfully so. David and Misao, I wish you great joy as you move into this new phase of your journey together!